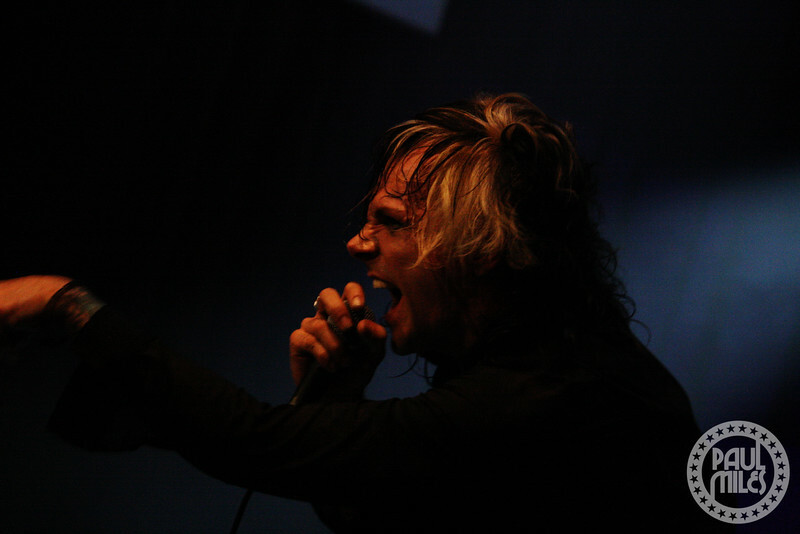 Acey Slade (Murderdolls, Dope) played New York City's Highline Ballroom on 8 July 2010 with his band The Dark Party. Led by Acey Slade on vocals and guitar, the Dark Party was rounded out by Per-C on guitar, Andee on bass, Matt Kepler on drums, as well as Militia singing vocals for the first time with them live as she does on their single She Brings Down The Moon. All photos in this gallery are Copyright © 2010 Paul Miles. All rights reserved. May not be used without written permission.